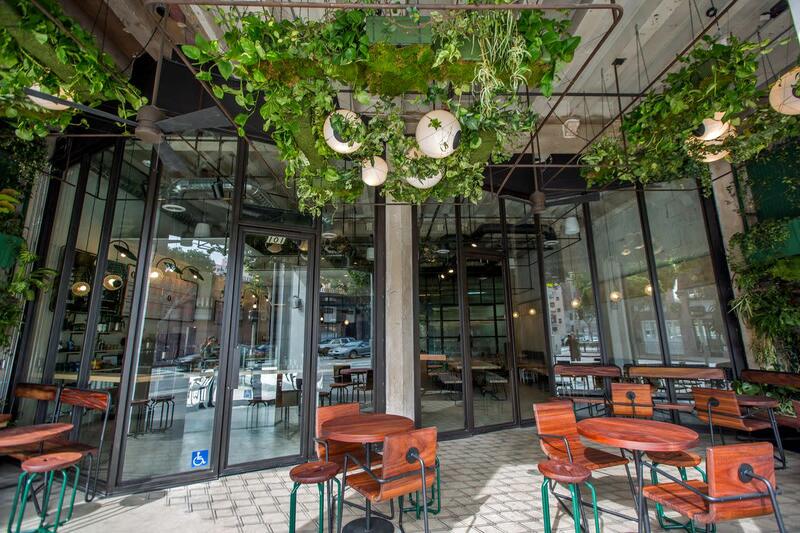 The new way L.A. restaurants are bringing the outdoors in. As someone who comes from a background in architecture, one of my favorite parts of eating out has nothing to do with the food—and everything to do with the design. 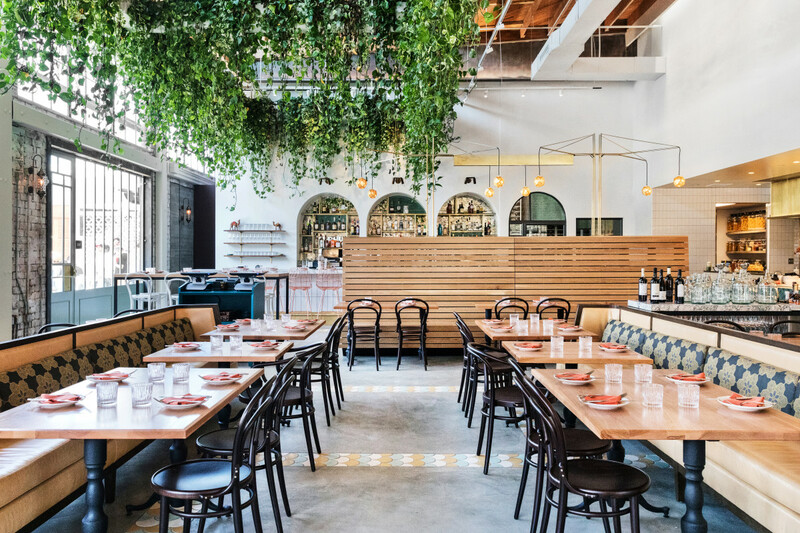 Restaurant interiors can be highly Instagrammable, subdued and elegant, or strike a balance of visually stunning but not distracting (my personal preference). 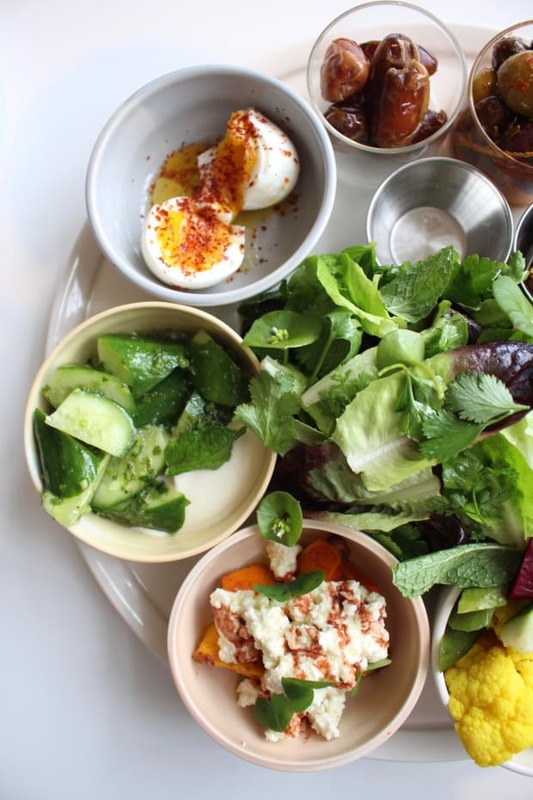 Bavel, a new Middle Eastern restaurant in the trendy Arts District area of L.A., fits the last category of design just perfectly. You&apos;ll easily find online commentary about the food (it&apos;s amazing) but not much mention of just how beautiful the restaurant is. 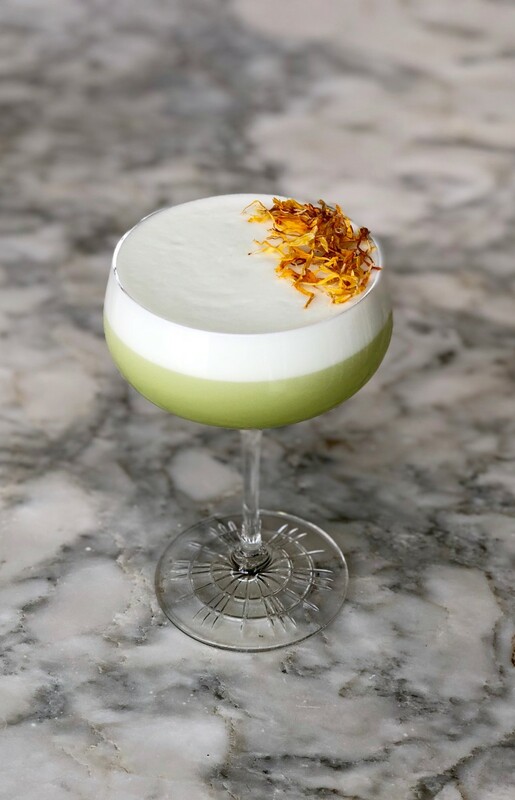 From the custom banquettes to the arched openings behind the bar, there&apos;s so much for the eye to see, but when I ate there with Leslie, our eyes were immediately drawn upwards to the beautiful green ceiling above our heads. 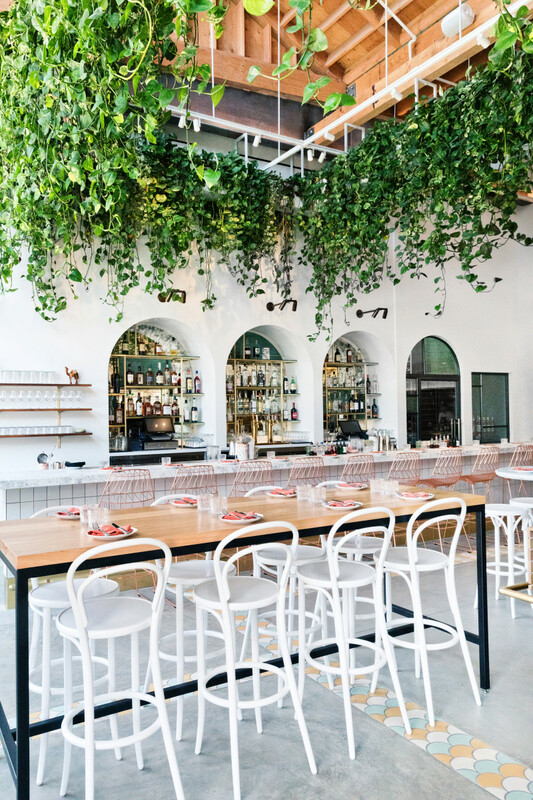 It seems like the living wall has migrated upwards and has become a ceiling feature, a detail we&apos;ve noticed in more than one restaurant lately, like a local favorite near our office Coffee for Sasquatch and Rosaliné. There are many reasons to love a green ceiling, least of which is the feeling it creates, like you&apos;re dining al fresco underneath a rainforest canopy, instead of in the middle of a bustling city. 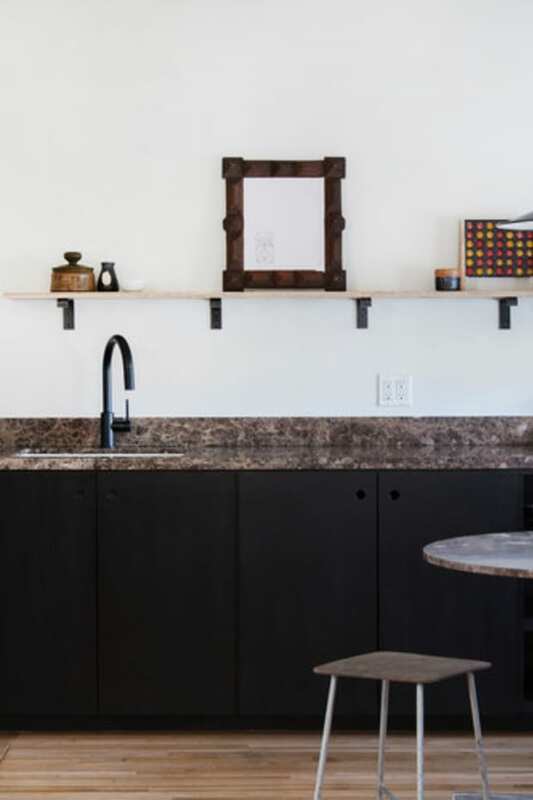 We turned to the designers of Bavel, their very own Owner and Pastry Chef, Genevieve Gergis, and design firm Studio UNLTD, to get the details on their canopy, and how we can recreate something similar in our own homes (it isn&apos;t as hard as you&apos;d think, with a few key alterations!). You can&apos;t tell from the photos but the planter in Bavel is directly situated underneath a skylight. Without the direct (but diluted) sunlight, the plants would die. If you&apos;re doing this at home, make sure your plants are close to a window or in a room that gets plenty of natural light. At first glance, it might seem like all the vines at Bavel are the same, but to achieve a subtly varied look, both in length, color, and texture, use multiple types of plants in the same species. Of course, talk to your local nursery to find the best plants to use based on whether or not the plants are going into the same planter or not, but one of the reasons we love the green ceiling in Bavel so much is that it&apos;s not too busy with a combination of ferns, shrubs, ivy, etc. 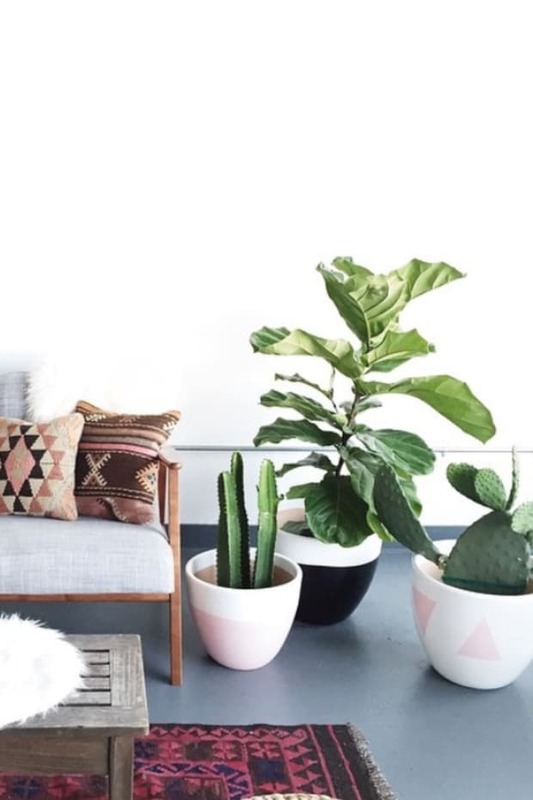 Real plants are beautiful but unless you have a green thumb, go the route of fake plants. We&apos;ve used Make Be-Leaves in LA before, but you can buy elsewhere online or in a hardware store, to ensure your green ceiling is one that lasts. 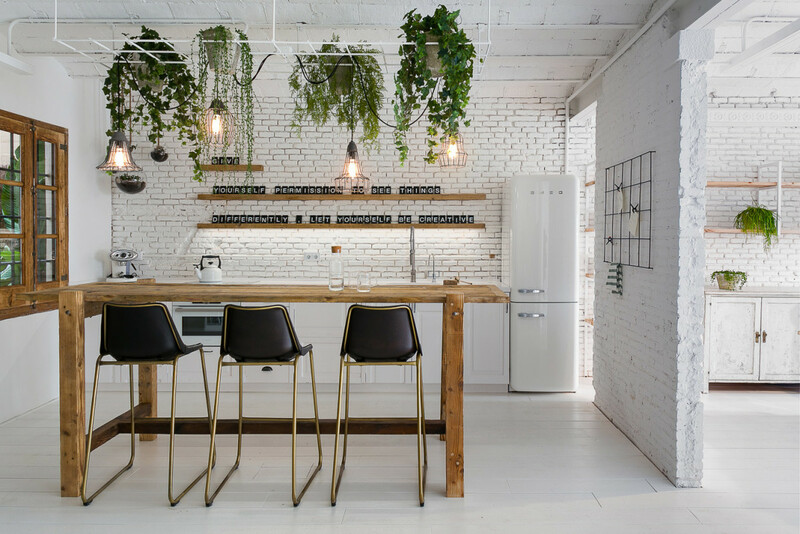 While we&apos;d love to weld a white metal suspended planter that is structurally sound, there are other ways to create the effect of a green ceiling at home. 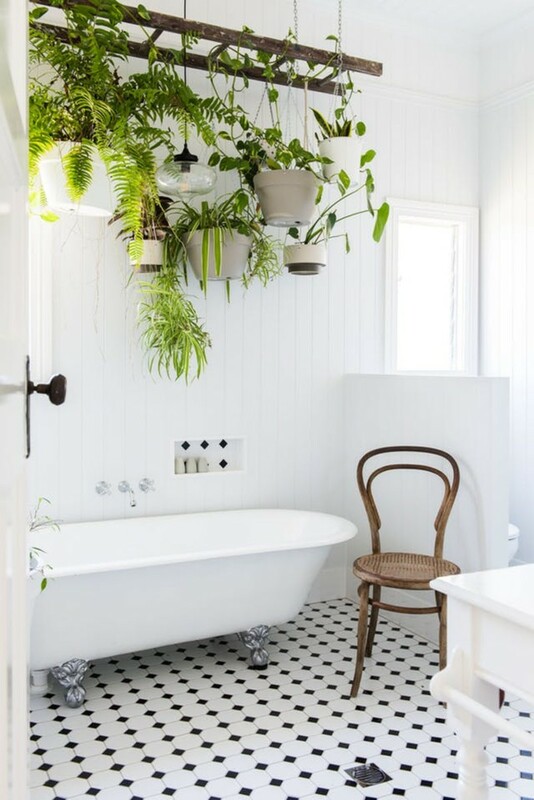 From hanging a cluster of hanging planters, repurposing a pot rack, to installing a shelf close to the ceiling and lining it with plants, or building a hanging rod, there are other ways to bring greenery inside and keep it high. My personal favorite might be the hanging ladder concept pictured above. Bavel uses track lighting that follows the same outline as the planter and the skylight above to provide lighting. Considering a ceiling planter may be replacing or usurping space from a ceiling lighting fixture, you can add some lighting to your ceiling feature to compensate. We like the idea of adding exposed Edison bulbs underneath the planter structure (so as not to overheat the plants themselves) or adding twinkle lights along the edge of the planter. Thanks to Bavel and Studio UNLTD for the inspiration. 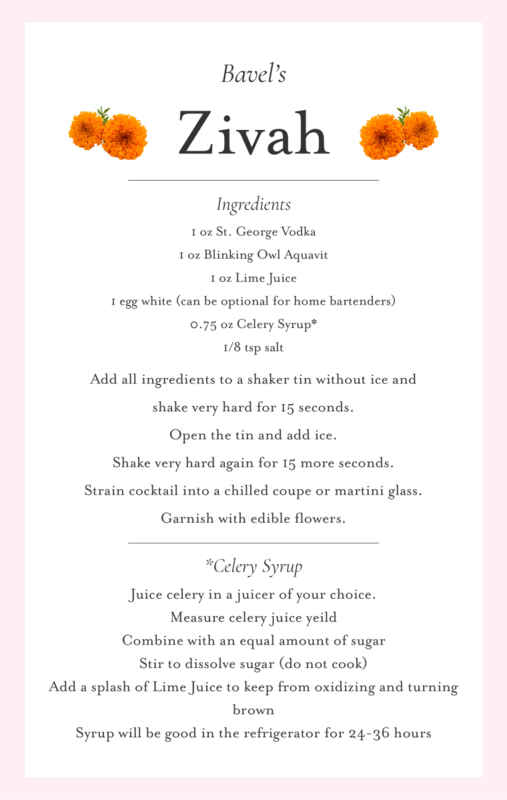 If you&apos;re unable to see the beautiful space in person, Bavel has shared the recipe for their Zivah cocktail, so you can bring a little bit of green home with you!